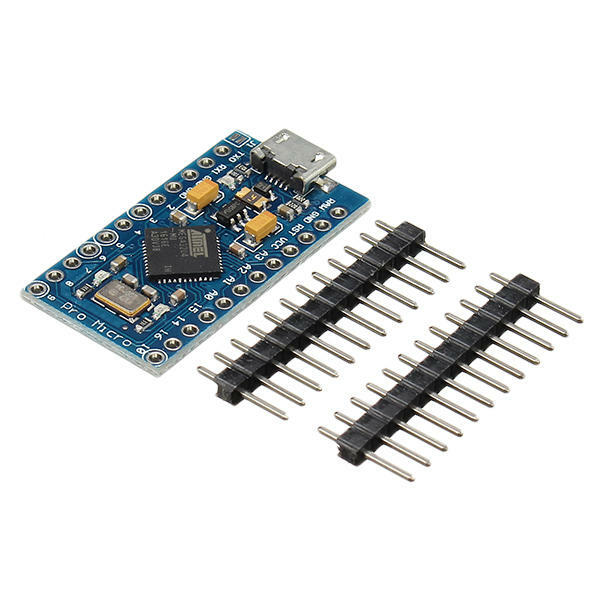 This microcontroller development board has 4 channel 10 bit ADC, 5 PWM pins, 12 DIO, and a hardware serial connection Rx and Tx you are familiar with. Running on 16MHz and 5V, this board will remind you a lot of other Arduino compatible boards that you like. There is a voltage regulator on board, so it can accept up to 12V DC. If you are supplying an unstable power supply board, be sure to connect to the "RAW" not on the VCC pin. We have also added a PTC fuse and diode protection to the power circuit and to correct the RX and LED TX circuits.